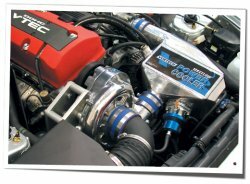 2004-2005 Honda S2000 V-3 SCi-Trim Tuner Kit, Polished [4HS218-038L] : Supercharger Superstore, Your Online Source for Vortech Superchargers, Paxton Superchargers, Procharger Superchargers, Magnacharger Superchargers and Techco Superchargers! Includes fuel pump, FMU, 55LB supp. injector. Includes all parts except engine management.